In this series of 'FOLLOW US!' 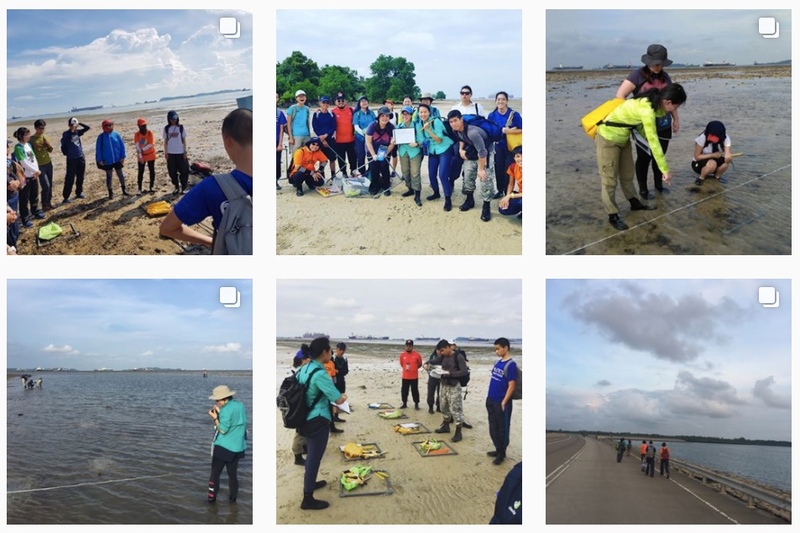 we want to highlight interesting Instagram pages about Singapore's marine biodiversity and seashores that are worthy of following! 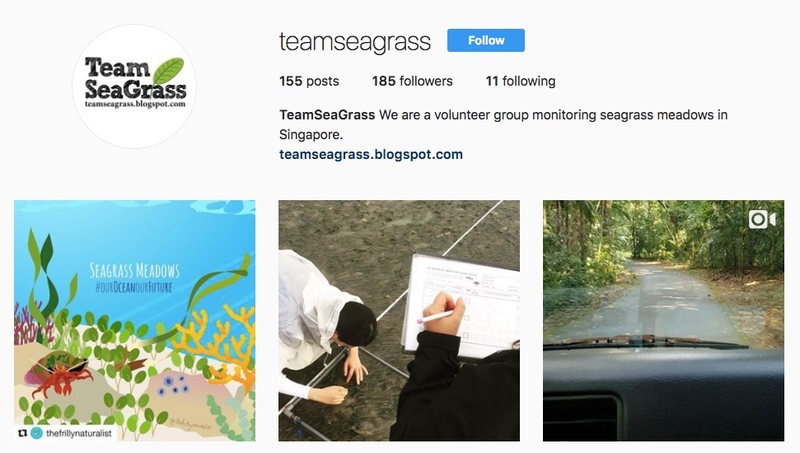 Here, we have TeamSeaGrass (@teamseagrass). 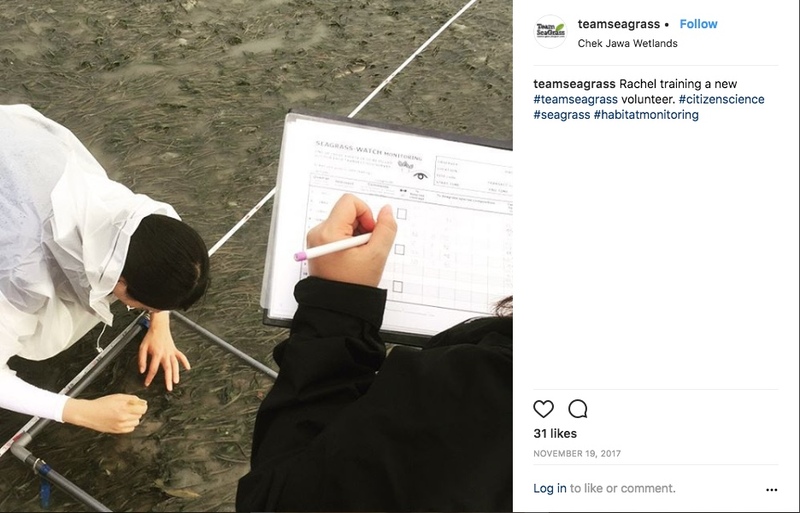 Led by a small volunteer management team, TeamSeaGrass (TSG) currently has about 200 volunteers from all walks of life that regularly monitor the seagrasses on Singapore's shores. Started in 2007, TSG is a collaboration with the National Biodiversity Centre of the National Parks Board and international Seagrass-Watch, the largest scientific, non-destructive, seagrass assessment and monitoring programme in the world. 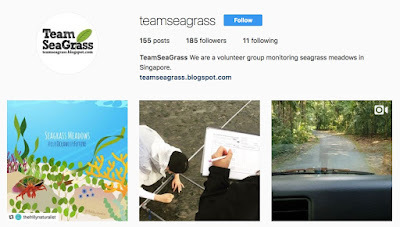 This year, TSG is contributing to a very special event - The 13th International Seagrass Biology Workshop in Singapore! Check out their website, Instagram isbw2018 (@isbw2018) and Twitter too! 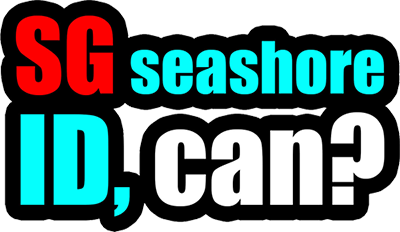 Be sure to FOLLOW US! on TeamSeaGrass to get your dose of Singapore's marine wildlife!